To Alejandro and his wife Patricia, home is where their family of five will always be together, supporting one another, regardless of good times or bad. It is this love for family that drives Alejandro to save as much money as he can to be able to provide a better life for his children. 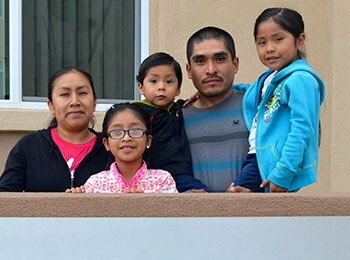 Alejandro and his family live at CHW’s new Vista community, North Santa Fe Apartments. Before moving there, the family was struggling in less than ideal conditions, as they were living in close and cramped quarters with another family in the Vista area. While Alejandro has a full time job working in agriculture, he was struggling to provide a stable home for his family to call their own. Alejandro was already familiar with Community HousingWorks after attending a Financial Fitness class, and when he saw that CHW was building the North Santa Fe community nearby, he applied for the interest list. While watching as CHW built North Santa Fe Apartments just down the street, Alejandro’s family was filled with anxiety and excitement as they waited to see if their name would be called. When the family received the news that they could move in, they were overjoyed to finally have a home to call their own. With an affordable place to live and access to CHW’s achievement programs, Alejandro is finding new opportunities for his family to make a better life. Alejandro shares, “It’s been easier to save now that we’re living here. We’re trying to save as much as we can.” North Santa Fe Apartments is located in the very walkable downtown area of Vista, directly across from the Vista Transit Station, making it easy for the family to walk to nearby stores and save money on transportation costs. Alejandro’s two daughters, nine and five years old, are both involved in the onsite Learning Center, where they go for after-school homework help, computer access, and the reading enhancement program. 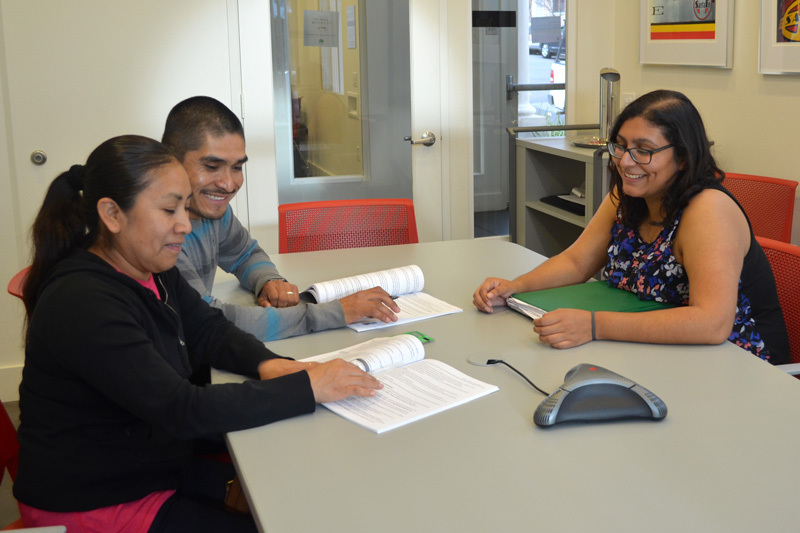 Alejandro also had the opportunity to participate in CHW’s Financial Fitness class again, refreshing his skills in setting goals, creating a budget, and finding new ways to save. Alejandro and Patricia have an important goal – to save enough money to provide for their children’s education so that they can have a better future. After seeing many college graduates struggling with student loan debt, Alejandro wants to do what he can to give his children a head start. The family meets frequently with Karen, a CHW financial coach, for support in reaching this goal. Alejandro and Patricia have since opened up three saving accounts, each in their children’s names, contributing with any extra savings each month. Previously, they weren’t saving their money with a financial institution; now they have a safe place to continue saving for their children’s future. Alejandro also dreams of purchasing a home in the next ten years and he is confident that with the motivation of providing a stable home for his family and the support of CHW and his community, he will be able to work toward this dream.